The pricing of the house you wish to buy is important. The CMA report is the one that enables you to gauge the value. Who prepares the CMA report for you? You can ask your real estate professional like Roseville Remax Realtor to do so for you. 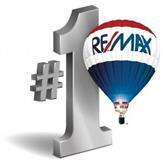 Re/Max Gold – Chad Phillips has the technical experience and expertise to do so. Let us look at the factors that go into the preparation of the CMA report. We shall also see how this report can be useful for both buyers and sellers. The CMA report provides a realistic price of the house. The report takes into account the prevailing competition in the neighborhood. It acknowledges the fact that every house has a unique value attached to it. It understands that the existing amenities provide additional value to the house. If the house has a solar powered lighting system, it generally fetches a higher value due to the value addition. Some solar power systems aren’t paid for and lien the property. Knowing how to maneuver those hurdles can be difficult when they won’t subordinate. The CMA report accounts for every alteration and construction done on the property after the date of the last transfer of title. This has a double advantage. One is that the seller gets value for the value additions he has done to the property. Secondly, the buyer is also aware of the changes made to the original structure. He can thus gauge the level of structural stability of the property on sale. Folks tend to do a lot of changes without permits, I’m guilty of the same. That’s ok, but the work needs to be disclosed. Normally, it is the practice of sellers to whitewash the house before placing the advertisement for sale. This is to create a good impression in the mind of the buyer. The CMA report accounts for these facts as well. Sometimes, the whitewash can hide a couple of structural issues. The CMA report can highlight such issues as the real estate professional can see through these make-up activities. Thus, the buyer gets a fair deal anyway. The CMA report gives you a realistic value for the property. However, that does not mean that you cannot negotiate on the deal an go for a better pricing. Normally, the sellers do not go below the price mentioned in the CMA report. However, in case of an emergency sale, there are chances of the seller settling for a lesser amount as well. The realtor expert is the right person to negotiate with the seller in this regard. Anyway, customer satisfaction is what he is aiming for. When going over the CMA report, I’m generally looking at your house for the first time. Some of the things we’ll discuss are the things to do before going on the market, and just as important, the things not to do. Most of the homes in Roseville for sale are in congruent neighborhoods and easy to conform to for value. Things we can do to help the property be more attractive to a buyer is to have a clear pest report on file and offer a 1 year home warranty with the sale.